Webster's dictionary defines the term 'pantheon' as any given civilisation's gods. 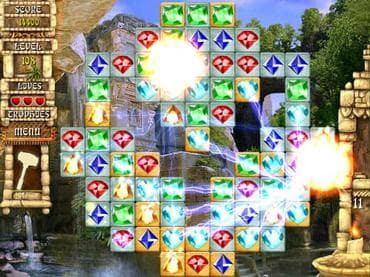 So get Rome out of your head because this additive, gem-smashing, match-3 game is set in ancient India. Embark on an amazing journey through beautiful locations to the heart of India. Discover artefacts and collect deities as you solve puzzles and unwind to a relaxing soundtrack and a myriad of ambient noises including waterfalls and chirping birds. According to legend, anyone who can collect all of the deities will have wisdom and power, and fortune will be bestowed on them forever. Free Game features: - 130 levels; - 14 marvellous scenes; - 3 game modes; - Unique power-ups; - 7 soundtracks. If you have questions about Pantheon - Indian Puzzle game, please contact us using this form.